A teller of stories. A subtle chronicler of this day and age who is spreading Lithuanian documentary film notes around the world. Knocking where there is happiness and sadness, victory and defeat, life and death. 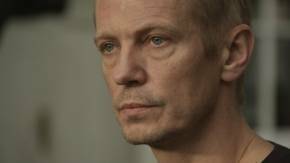 A recipient of the Lithuanian National Prize for Culture and Arts, the documentary film director gained international acclaim when he was awarded by the Directors Guild of America for Outstanding Directorial Achievement. 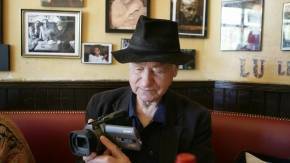 Filled with poetry, his documentaries are continually among the award winners at the most prominent film festivals. His last film, Wonderful Losers: A Different World, is about what goes on behind the scenes at the Giro d’Italia and was nominated for the Academy Award for Best Foreign Language Film. “This is the Giro. Without departures and arrivals. Without surges and without victories. The film pulsates with bodies that are saturated with passion and fatigue,” wrote Bidon Magazine aboutWonderful Losers: A Different World.